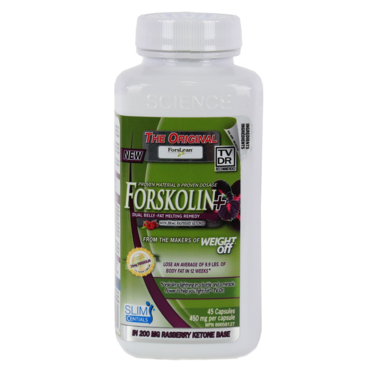 SlimCentials Forskolin+ FORSLEAN is known as “THE ORIGINAL FORSKOLIN EXTRACT”, and is derived from a member of the mint family known as coleus forskohlii. Standardized for a compound called forskolin, this potent fat melting nutrient ignites metabolism and fat burning and promotes leaner, tighter muscle tone. In a 12-week, double-blind, placebo-controlled clinical trial, human subjects taking 250 mg of ForsLean twice a day safely and effectively cut body fat by an average of 4.5 kg (9.9 lbs) and improved lean body composition. Instructions: Take 1 capsule twice daily. For best results combine with healthy eating habits and an active lifestyle.